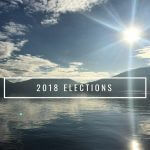 In the lead up to Election Day on October 20th, 2018, the Community Alliance will post answers from candidates to crucial questions. Today, we focus on Coordination of Services issues. Question: What is your opinion of the proposed establishment of an Inter-Agency Working Group (described in the Governance Working Group Discussion Paper) to improve coordination of local services, and what skills would you contribute to making it a success? The Interagency working group is very close to the town hall meeting that I am advancing. I recognize and agree that greater co-ordination between decision-making authorities with exclusive jurisdiction in their area is the best way to accomplish mindful community building. Where I differ in approach is that I prefer a direct democratic model contained within the monthly town hall meeting. The IAWG could be characterized as simply another level of bureaucracy, but one without binding authority. This model appears to be one intended to facilitate coordination, which is fine as far as it goes, but doesn’t address decision-making responsiveness or direction. Where I feel the IAWG model can be improved is to alter it to a town hall meeting, where the 6 governance bodies (Islands Trust, CRD, Water, Fire, RCMP, Ministry of Transportation) are in conversation with the islanders, for whose wellbeing they are deciding, at least twice a year. The IAWG is a good start in this direction, but the effective coordination that is necessary for good and effective ecological governance and mindful community development can be better accomplished through direct participation with the decision makers. The town halls would not involve additional representation in the democratic process and would be far more effective in conveying public consensus to decision-makers. It is simple, direct democracy. I have been advocating for such a group for the last four years. Specifically I have asked our CRD Director to hold quarterly meetings comprised of all CRD Commission Chairs, the Islands Trust Trustees and the Chairs of Improvement Districts. Such meetings to be held in public including a “town hall” section. Each participant would report on their operation which would lead to better communication and integration. So the proposal of an Inter-Agency Working Group is exactly what I believe should be in place. My training and experience as a mediator and proven ability to work effectively with groups would, I believe, assist me to make it a success. 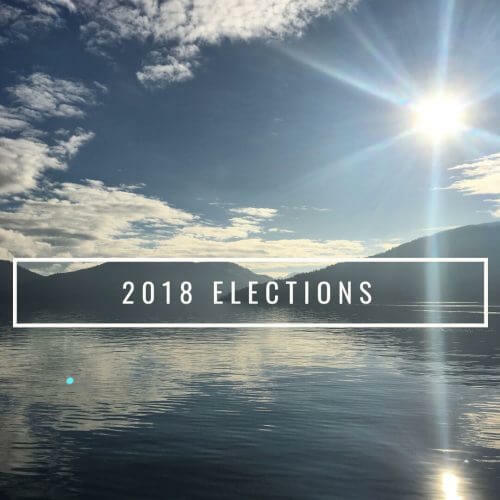 I support the establishment of such a body, and as former CRD Director for Salt Spring and MLA for Saanich North and the Islands, I have ten years of direct experience in forming and working with, such inter-agency groups. I believe it is important that locally elected officials represent SSI on such a body (if established this would include elected members of a Local Community Commission describe below), supported by CRD Commissioners and staff as appropriate depending on the nature of the agenda. It would be ideal if memoranda of understanding could be drawn up with provincial agencies and that procedural bylaws for CRD and Trust elected officials be developed to better ensure that the regular convening of an inter-agency working group become formalized, and not just at the whim of particular elected officials or provincial governments. It will also be important to build public participation into these meetings. As CRD Director, I established the South and West SSI Conservation Partnership and SSI Water Council, the first such inter-agency bodies on SSI aimed at conserving and protecting our precious green space and water resources. I established regular coordinating meetings and public budget presentations with Island Trustees, and was the first CRD Director to regularly attend the town hall portion of Local Trust Committee meetings. As MLA for Saanich North and the Islands, I was in regular contact with elected officials and staff from the Capital Regional District; provincial agencies such as the Ministry of Transportation, Island Health, School Districts, Forests, Lands and Natural Resources, and Ministry of Environment; and federal agencies such as Parks Canada, Department of Fisheries and Oceans, and the Victoria Airport Authority. As a former Opposition MLA, I worked closely with former colleagues who are now Ministers in the new provincial government. While not one of the questions chosen by the Community Alliance, their Governance Working Group (GWG) evaluation of possible improvements (in which I participated) concluded that an important improvement regarding CRD governance would be the establishment of an elected at large Local Community Commission, to represent the broad public interest in determining budget allocations, strategic and policy direction, and share the significant workload of the Director. Elected Commissioners would sit with the Director as a “council” in public meetings, and over time could assume more operational and decision-making authority from the CRD Board. Such an elected body would have to be negotiated with the CRD Board and approved by SSI voters in a referendum. An alternative approach rejected by the GWG, is to confer more decision-making authority with individual Commissions, which would only exacerbate the “silo” nature of service delivery on SSI. I’ve been advocating for some time now that all local government agencies meet regularly to coordinate their policies for service delivery. I believe we must have community groups pushing this or this idea of an Inter-agency Working Group will go the way of other ideas – and become just one more committee meeting. Ultimately, we need a structure to enforce this idea such as a Local Community Commission. Since the outcome of the incorporation vote last fall, many islanders are seeking and recommending ideas to improve governance on our island. I will listen, participate, and provide leadership to make our island organizations work effectively together for the people on our island. I agree with the Governance Working Group that we must improve coordination and collaboration with the island’s elected officials and others involved with delivering local services. I bring important skills that are necessary to make an Inter-Agency Working Group effective. I work effectively with groups of people. I can help find a balance between what is often perceived as extremes. I can think, feel and judge with empathy and I truly care about the consequences of the decisions I make. I think the first step in attaining an Inter Agency Working Group is at the Financial level. As CRD Director I will invite all principle groups with tax authority to at least an annual meeting to to work on an overall island budget and budget ceiling, Second I will arrange three Town Hall sessions, the first in February after the new CRD Commission Chairs are elected. The second in May or June before the summer recess and the third in early fall. In conjunction with these meetings I will bring in the CRD Commission Chairs and the other island agency stakeholders.